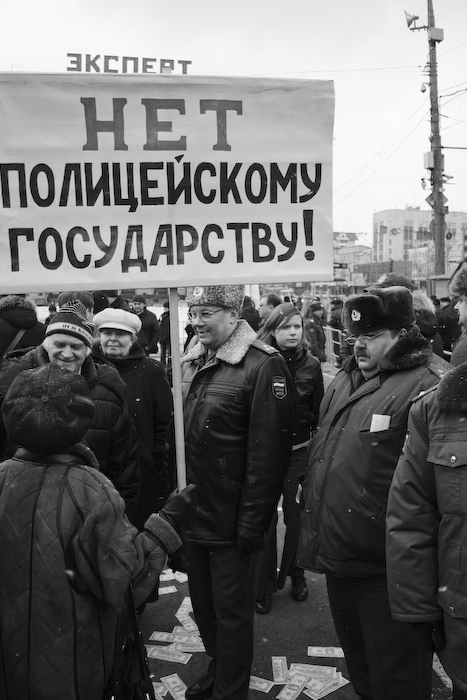 RunNetEcho reports that a "Rally for police reforms that took place in the center of Moscow on March 6, 2010 gathered approximately 150-500 activist"and links to three there live Russian bloggers. 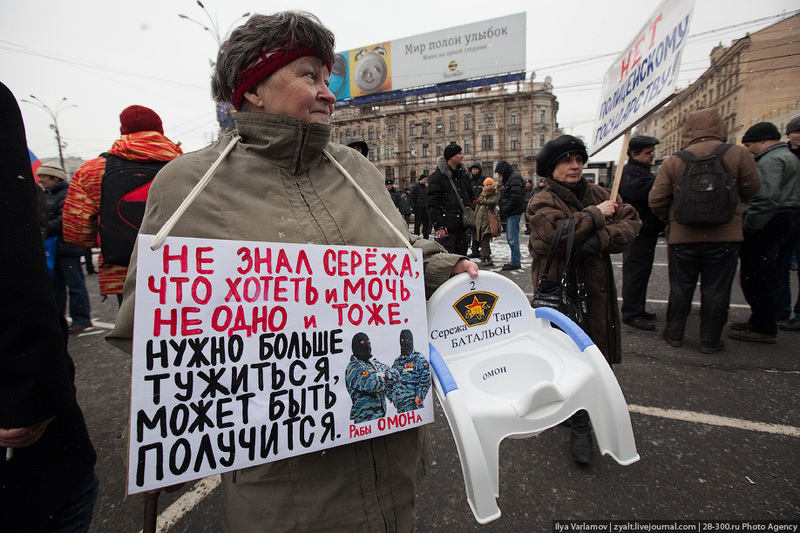 This nice lady, gave "the Constitution of Russia" the policemen; "Take it, it is not a bribe!" ("берите, это не взятка!") The policeman decided not to take. Apparently, just in case. 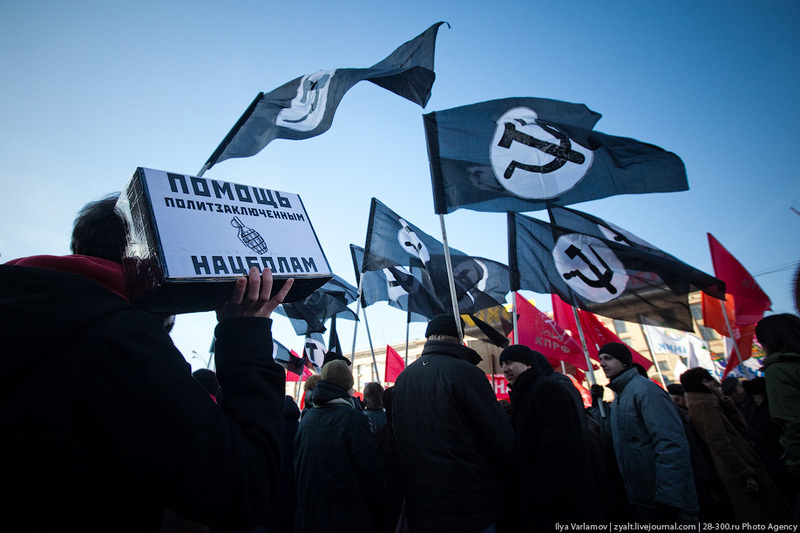 On Saturday, March 6 at Triumphal Square rally was held human rights activists demanding radical reform of the MVD. The action was attended by the head of the movement "For human rights" Lev Ponomarev, activists of "Change", "Defense", "We", "Solidarity" ("Смена", "Оборона", "Мы", "Солидарность"). There were calls to dismiss the leadership of the Ministry of Internal Affairs and fundamentally change the work of agencies after the reform, including repeal of cane system, improve staff salaries and provide them with social guarantees. At the rally appeared activists of youth movement Nashi, which in the hands held placards that contain criticism of the organizers. Some of them were detained.